Visit Western for Preview Days and get a taste of college life. 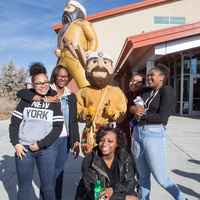 Experience true Mountaineer culture when you connect with current students, meet with professors and explore campus. Attend the Welcome and Parent/Student sessions. Attend the Academic/Athletic Program Fair and Club/Organization Fair. Attend Academic Information sessions and meet Western faculty. Eat Lunch in our dining hall. Receive information on financial aid, housing, and your next steps to becoming a Mountaineer. Visit western.edu/previewday to register for one of the four 2018-19 dates.